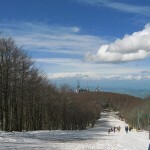 Mount Amiata is a tourist attraction for all seasons: skiing and snowboarding in the winter (thanks to its 1730 meters of elevation and provided ski implants) and hiking in summer; its territory extends between the provinces of Siena and Grosseto while remaining close to Lazio and Umbria. 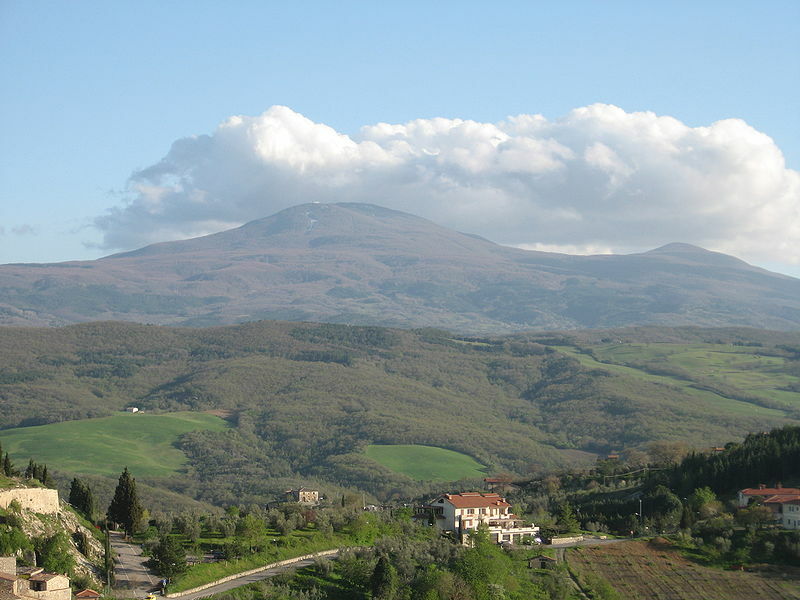 Mount Amiata is an ancient extinct volcano that still has many features like lakes and rocks of volcanic origin and it is estimated that the last eruption occurred about 700,000 years ago. One train of seismic activity, however, is recorded sporadically. 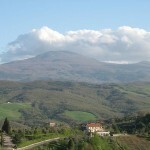 Right here is located the source of the river Paglia. From its summit you can admire a scenery of rare beauty: with aclear sky you can see nearly all of the Apennines, the Massif of Gran Sasso of Italy, Mount Terminillo, the Sibillini Mounts, the massif of Mount Catria, Mount Falterona, Mount Cimone, the Parma High Apennines and the Ligurian Apennines. Also you can see the cities of Siena, Grosseto, Arezzo, Viterbo and in particular weather conditions at night you can see the glow of Rome. Are perfectly visible even Lake Trasimeno and Lake Bolsena while in the direction of the Tyrrhenian Sea is visible a good part of the Tuscan island of Elba, Monte Argentario, Corsica and on the coast is seen the Alessandro Volta power station chimneys in Montalto di Castro while northly are the smokestacks of the power plant Tor Sale of Piombino. 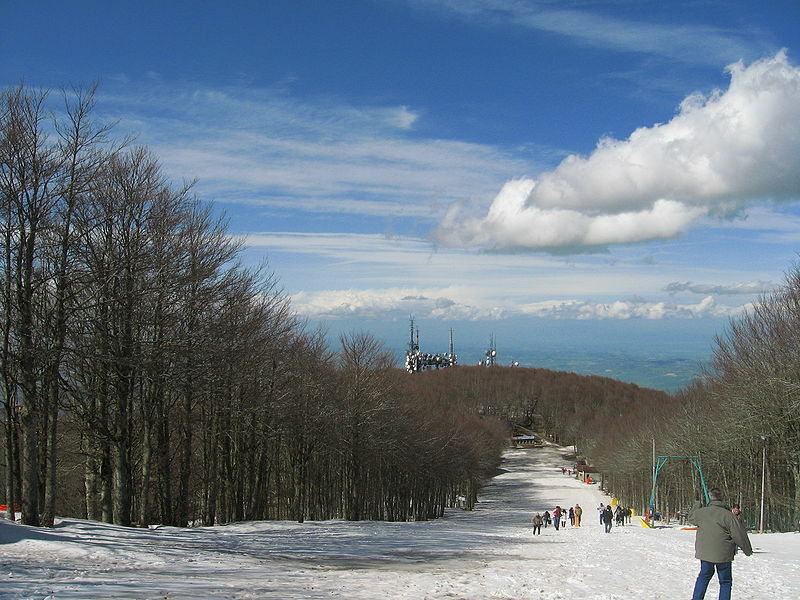 During the winter season, ten lifts and several ski runs with artificial snow ensure a diverse and constant tourism, while in summer, walks, tours of vineyards and olive groves and wine events are accompanied by beautiful woodland setting.